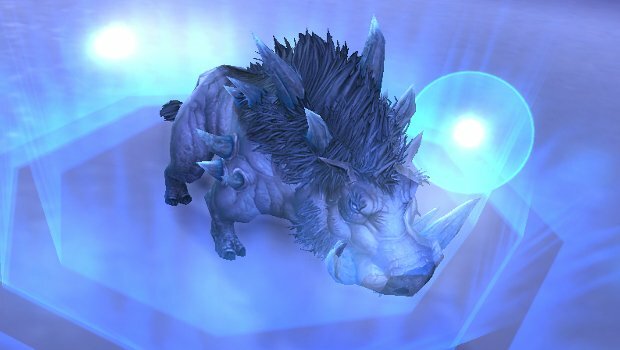 The latest alpha build for Legion has brought with it a few new pet developments. In addition to new pets, some toys, and a new tamer with a whole team of corgis datamined by Wowhead, there’s an important addition for alpha testers. A special vendor has joined the alpha community with a new battle stone, unlimited leveling stones, and Pet Charm currency — all of which will help us get a feel for just how pet battles will play out in Legion. But we expect to see these battle stones in the live game, too, and they offer a big upgrade. Like battle stones we’ve seen in the past this new stone increases the rarity of a pet, but the new Immaculate Battle-Stone raises it to epic — purple. Since the current maximum rarity is rare — blue — this has the pet community in a bit of an uproar. I’m still super excited about apparent baby theropods with feathers, but this has taken the wind out of my sails a bit. For pet battlers in Legion, this potentially means collecting a lot of battle stones — and a lot of Pet Charms to buy them. These are the same charms from Warlords, and because they’ll be used to buy other pet-related items in Legion it’s not a bad idea to start farming them now. Will there be other ways to upgrade pets or acquire battle stones? We don’t know yet. Thankfully, feedback can be directed to the devs about this item in this thread on the official pet battles forums. Pet dev Jeremy Feasel has also asked for feedback on Twitter on a few other ideas, like cosmetic variants rather than statistical ones.